We would like to introduce our dogs here with our Internet presence to you. 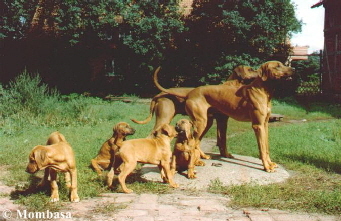 The Kennel of Mombasa breeds since 1991 Rhodesian Ridgebacks for family, breeding and show. From our breeding many breeding founders, as well as numerous show champions are descended.